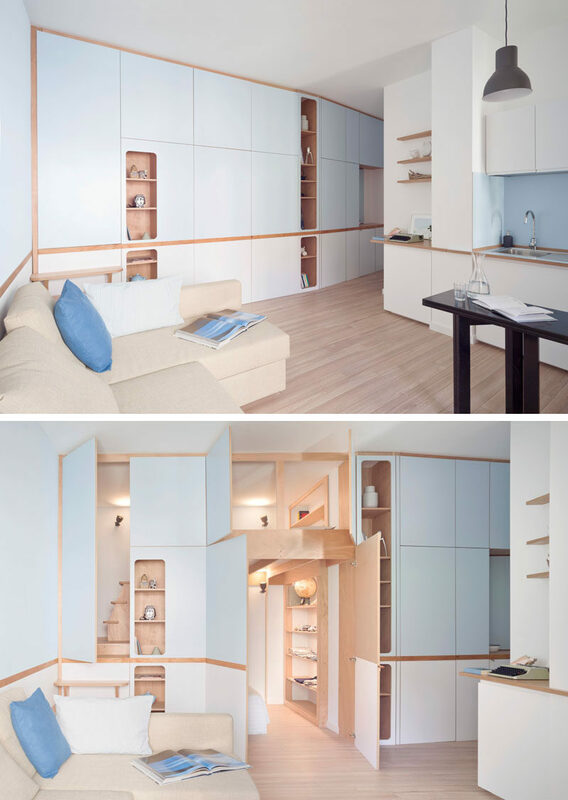 When llabb, a studio of young Italian architects, were approached to design the interior of a small apartment in Liguria, Italy, they thought outside the box and came up with a solution that included a large custom designed wall unit. 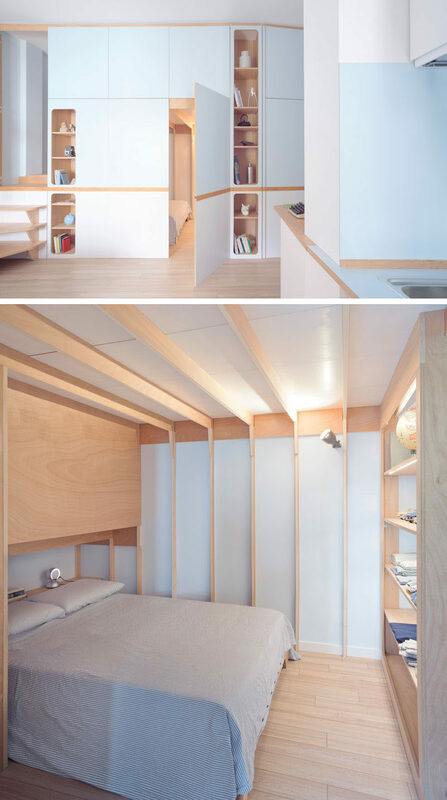 As the apartment is only 376 square feet (35sqm), the laminated marine plywood wall unit, which runs the length of one wall, had to include sleeping areas and storage. The wall unit has a lower section and an upper section. In the lower section, there’s two doors that open up to reveal the first sleeping area or master bedroom. 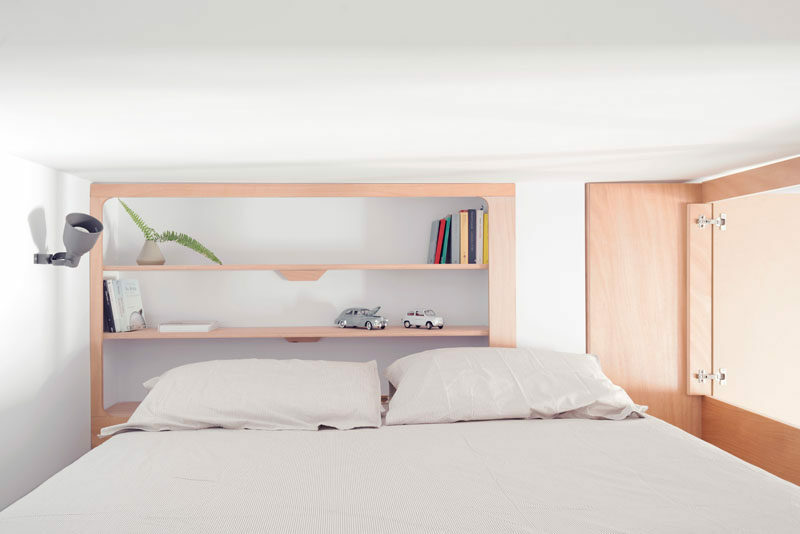 Open plywood shelves at the end of the bed act as an open dresser. 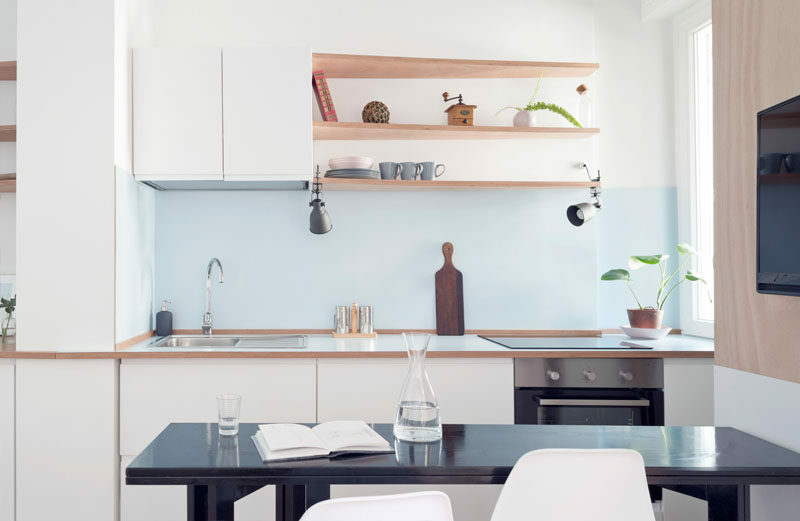 At the end of the wall unit are some small steps that sit beside built-in wood-lined display shelving. The steps lead up to the second sleeping area or guest room with windows that can be opened to look out onto the living room. Here’s a look at the small kitchen and dining area that sits on the wall opposite the couch. Photography by Anna Positano | Architect: llabb | Project design team: Luca Scardulla and Federico Robbiano with Beatrice Piola and Floria Bruzzone | Contractor: Zena Costruzioni s.r.l.s.